This summer, local wakeskate athlete, Matti Buys invited one of the most influential pioneers of the sport, Brian Grubb (USA) to South Africa. To explore and session some of the most prominent spots around Durban. What transpired was an epic video short titled ‘Reflections’. Which not only showcases Durban’s flair but some of the most imaginative trick lines and obstacles. 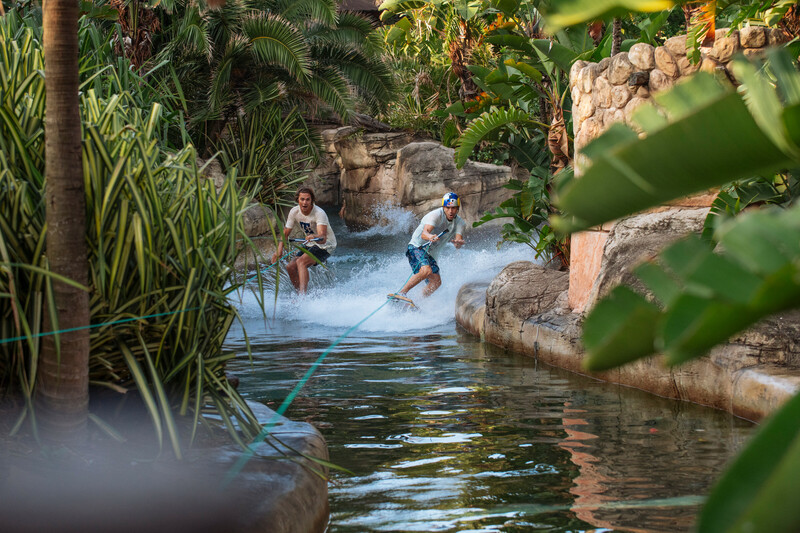 In Red Bull’s ‘Reflections’, you will see a myriad of cables and high-powered winches taking Grubb and Buys from the Indian Ocean shoreline, to Durban Point Waterfront Canals, right through uShaka Marine World and onto Durban’s iconic beachfront pools. The duo creatively make use of their natural surroundings, adding obstacles like ramps or kickers to perform a host of tricks. One would normally expect to see these on a lake or public cable park, yet this time in a much trickier and unique setting.